Needless to say that this is a very somber date for Jewish people worldwide. This is a time when the Book of Lamentations is read in synagogues. Jewish people fast, do not bathe and do not have marital relations on this day. 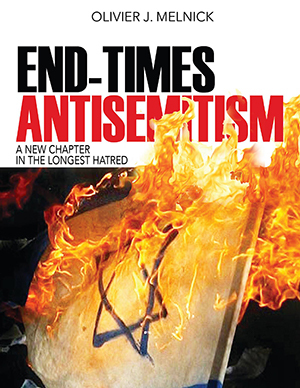 This year, the ninth of Av falls on July 25 and I cannot help but think about the way that it might be remembered and added to the long list of catastrophes for the Jewish people. We are in the midst of a global crisis with the Islamic Republic of Iran which is on the threshold of acquiring its own nuclear arsenal. The same Iran has recently and repeatedly vowed to destroy Israel and the United States. Since 2008, President Obama’s foreign policy has been less than spectacular. Like every previous president since 1948 and to no avail, he tried to make a positive contribution to the Middle East peace process. But it is clear that Mr. Obama has an obsession with Iran, and like the National Review aptly said it: “The Obama administration values a future relationship with Iran more than it values the historic relationship it has with Israel.” President Obama’s obsession with Iran might only be surpassed by his obsession for his own “messianic legacy”.” In any case, both are tightly linked and they unfortunately are at the expense of Israel. 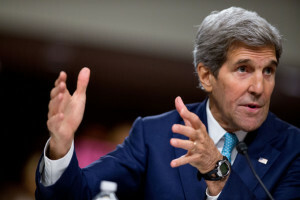 The problem with that statement from Mr. Kerry is that it can be interpreted several different ways depending on what the audience wants to hear. When I hear the phrase with respect to what we might want to do there, I am left wondering if “what they might want to do” is bomb Iran in accord with Israel or help Iran to defend itself from an Israeli attack (cyber or military). Pick one, they both work! There is some wording on page 142 of the document drafted for the deal stipulating that the 5+1 would help Iran defend themselves against sabotage once the deal is approved. This would make me think that the US would lean towards helping Iran, and frankly, this wouldn’t surprise me under the current administration. Then there is the statement he closed with: “I think we might have to wait until we get to that point.” which is even more frightening. If we truly have to wait for the eleventh hour when Israeli planes are in Iranian airspace or even later if possible, it is akin to asking people to wait until Hiroshima was detonated before deciding if it was the best option. 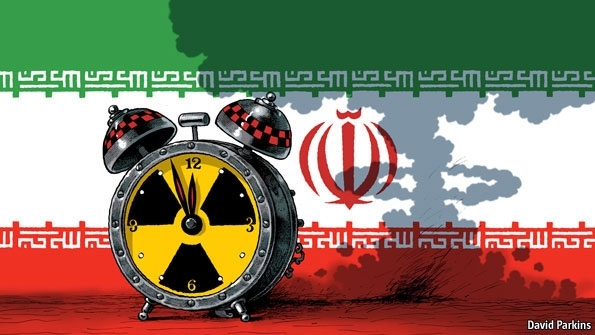 Israel, the United States and the rest of the free world cannot afford to wait and see because the more time we give the Islamic Republic of Iran to acquire the bomb the less time we will have to successfully respond. In other words if we wait much longer there might not be much left to see. I continue to keep my trust in the God of Abraham, Isaac and Jacob and His unconditional love for Israel. But I must remain pragmatic in understanding that the highest human casualties in the history of mankind are yet to come. Obama’s legacy sure looks like it includes America’s divorce from Israel. It sure feels like Tisha B’Av again but hang in there because Rosh Hashanah is just around the corner! Bibi is Facing the Toughest Two Years of his Entire Political Career! In the midst of a global crisis involving Iran’s race for nuclear power, Benjamin Netanyahu was re-elected for another two-year term. The landslide victory showed us that Israel isn’t so fed-up with Bibi’s policies. It actually proved that Israelis are very concerned about the Iranian threat and feel that Bibi is the best man to handle the crisis. The Lausanne “Agreement”–if we can call it that–has left much to be desired. It transforms the West from an inspector into a powerless spectator. Iran’s carefully crafted nuclear “smoke and mirror” show is supposed to appease the international community, so we hear from the media and President Obama. Mr. Obama’s dismissal of Israel’s safety goes along with the recent disclosure of a Department of Defense top-secret document exposing Israel’s nuclear information. There were several other countries’ sensitive nuclear information on that 360-pages document. Somehow, they were all redacted out of the document before its release, to leave only Israel’s information readable. To be sure, Israel’s nuclear capability is no news to the world, but this was the first official announcement about it by a foreign state. How could Mr. Obama possibly say that his administration has done more for Israel than any other previous president? Unless of course he means that he has done more than any other president to put Israel in arms way…Don’t get me started on that one! It looks to me as if Israel is left with the decision to strike Iran if they feel that the threat is getting to close for comfort. Frankly, this is a decision that is currently better left on Netanyahu’s shoulders than any other Israeli prime minister. Additionally, I fear that the decision to strike Iran is no longer a matter of if but simply when! Iran knows how to play the clock. Deal or no deal, they continue to see the time span as a great opportunity to continue with their nuclear program with very little outside control. This will allow Iran to acquire the capability to build a bomb a lot sooner. For all we really know, Iran might be a lot closer than we think to become a nuclear lethal force. The real danger that isn’t discussed much is the fact that we are now in a stage of what has been called “Apocalyptic Islamism”. There is very little if anything that the West can do to stop the raging hatred and determination of the mullahs in bringing in the “Twelfth Imam”. Both ISIS and Iran–while not necessarily working hand in hand–have a common goal of Islamic global hegemony painted on a backdrop of End-Times with the blood of the “infidels”. Of course, Iran also helps fulfilling Hezbollah’s agenda by proxy. This really leaves only one option, and that is the physical destruction of Iranian nuclear facilities–a feat that only Israel seems to be willing to undertake. Of course, once the big boy on the Middle East playground has pushed the bully over, the rest of the cowards will magically appear on the scene. Then we might see an overnight alliance of powers who up to then didn’t have the chutzpah to go after the Khameini regime. Even Mr. Obama might join the ranks of those who oppose Iran at that time. It appears to be “damned if you do and damned if you don’t” for Netanyahu, but since Israel’s survival is a non-negotiable, It might just be a matter of time before Bibi makes a move. He certainly is facing some of the toughest decisions of his entire political career and could certainly use the prayer of those who love Israel. Preventing Iran from going nuclear ISN’T ONLY A MIIDLE EAST PROBLEM, it is a global one. Ignoring a problem never made it go away, but we are being told than Iran is on the road to full compliance. Is it on that very road that they also shout “Death to America” and “Death to Israel”. Global leadership isn’t necessarily measured in GNP or a country’s worth anymore. It might be measured more by the ability, willingness and determination to avoid a nuclear cataclysm at any cost. In the case of Iran, I think that only Israel has got it and only Bibi can lead them into making such a decision. I still pray for all of it to be averted because any loss of life is a tragedy. Jews and Muslims alike need to be touched by God and meet their Messiah and redeemer (Isaiah 52:13-53-12). The Bible does shed some light on all of this. There is a promise from the God of Abraham, Isaac and Jacob that He will not only protect Israel but also destroy her enemies. This eschatological promise is based on God’s unconditional and eternal Abrahamic Covenant with Israel and the Jewish people (Genesis 12:1-3) and it should be an encouragement and a call to prayer for those of us who support Israel.